Are you in need of a small screen for your project? 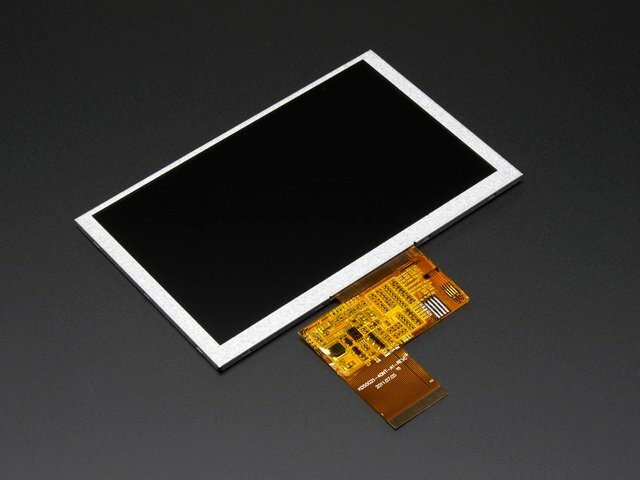 Our 5" (800x480) TFT display might be just what you're looking for. 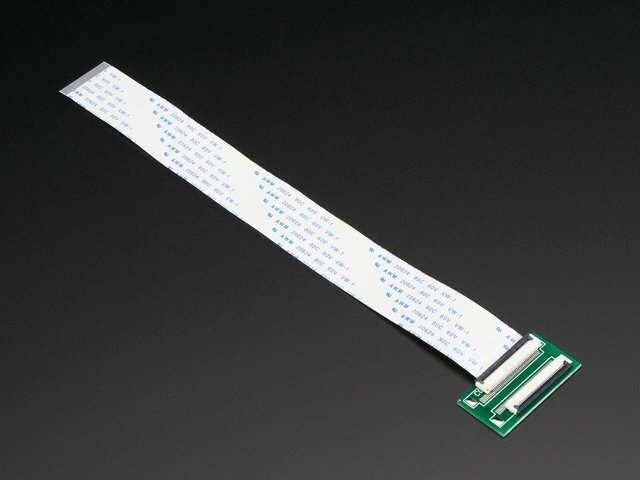 This display features a standard 40-pin connector and is compatible with our TFP401 HDMI breakout. 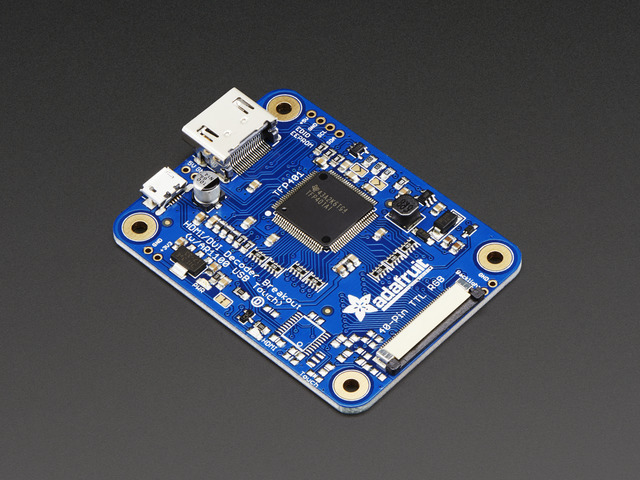 Combined with our PowerBoost and a lipo battery, you can make this into a portable display. Our 3D printed case houses all of the electronics to make a nice little package. You only need to wire four connects, so it's a very easy DIY project that you can make in just a half an hour. There's lots of ways to position the display driver, effectively giving you the ability to mount the HDMI port in any orientation. 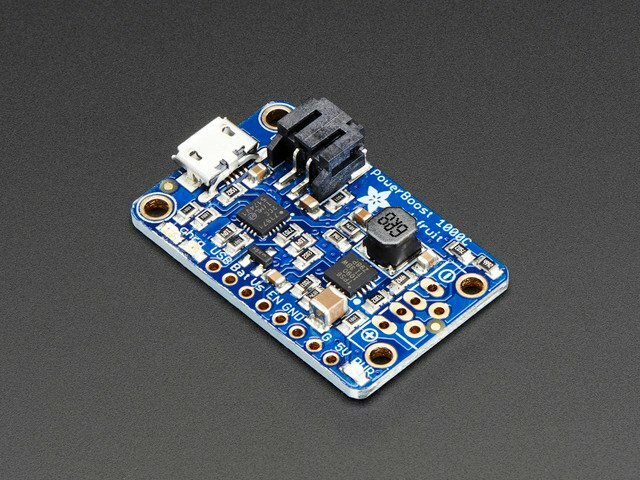 This can be very useful, especially when you need to embed the display into an enclosure. Our 40-pin FPC extension board gives you the flexibility to position the display driver away from the display, giving you the ability to design your own setup. I designed the case to house the screen, display driver, powerboost, battery and on/off switch. It's actually quite thin compared to a regular display because it doesn't need VGA or composite inputs. This is about as small as you can get, so it's great if you need to save space. The cover and case are designed to snap together. I designed little nubs on the edge of the case that snap into corresponding indentations so the two pieces actually lock together. It's also easy to take apart. The microUSB port from the display driver and powerboost are accessible, so it's easy to power off a USB port or recharge the battery. These are some additional parts that you might find useful. In the main photo, you can see I'm using a Raspberry Pi 3, keyboard and a short HDMI cable, all of which are available in the shop.